What’s Poppin’ Tonight! Red Café Hosts #VarsityFridays + Single Release Party + More at IVY Nightclub ~ Phresh Hott New! Tonight! 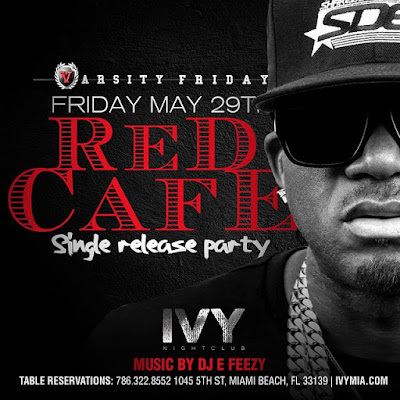 Varsity Fridays "The #1 Friday Night Party in Miami” hosted by Red Café plus his Single Release Party featuring music by YMCMB DJ E-Feezy and DJ AND at IVY Nightclub! Presented by Varsity LG.